New York riddles are a great set of tricky questions about the city and state of NY that New Yorkers will love. Our staff has put together one of the top groups of riddles related to NY that the web has ever seen. Listed throughout are brainteasers with various levels of difficulty. Some will be very specific, and one will have to be a well-traveled New Yorker to get even significantly close to answering correctly. Others will be a bit simpler to answer by almost anyone, and would also be fun in activities or games. Think you're ready to test your knowledge of the "Big Apple"? The questions are below! Please share and enjoy with anyone that you know would appreciate these tricky questions. 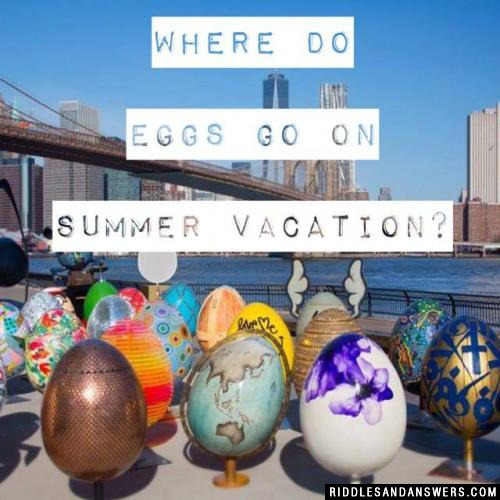 Where do eggs go on summer vacation? Such as Staten Island and Brooklyn? What kind of hipsters live in the Big Apple? What should you say when the Statue of Liberty sneezes? A man wants to travel to New York from Miami on horse, this travel would normally take about seven days, but yet he left on Monday and arrived on Monday, how can this be? The horse's name was Monday. Where do fat cows go on vacation? Why did Eve want to leave the Garden of Eden and move to New York? Can you come up with a cool, funny or clever New York Riddles of your own? Post it below (without the answer) to see if you can stump our users.